Nikola Sojiljkovic: "I arrive at a big club, for me it is a step forward". Nikola Stojiljkovic has been presented in one of the betting game rooms of Betpoint, partner home of RCD Mallorca, of Porto Pi. Maheta Molango has appreciated the support of this company and has positively valued the incorporation of the Serbian striker: "The idea is to try to continue adding and is the case of Nikola, a player with a good level trajectory. He played in the SC Braga, scored goals, played in the Europa League and won the Portugal Cup. Now it comes from the Red Star, a club where there is demand and he played in the Champions League". 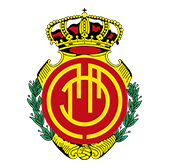 For his part, Nikola Stojiljkovic is delighted with his arrival at RCD Mallorca: "It's an opportunity for me, it's a club with a big story. For me it is not a step back, I arrive at a big club, now we are in second but for me it is a step forward".